This proposal story is one of my FAVORITES of all time! When Vedant first explained his plan to me, I was in awe of how thoughtful he was, and also amazed that he was so organized months in advance of the actual proposal day! 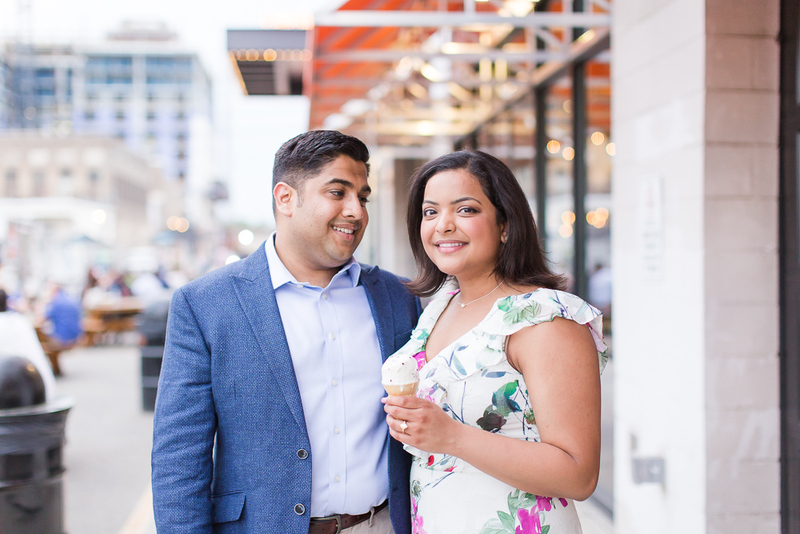 Vedant made reservations for himself and Sneha to have dinner at Masseria – an incredible restaurant located in the Union Market neighborhood. As they had drinks in the lounge area, I acted like I was taking photos for the restaurant until I got the signal from the Masseria staff. One of the waitresses brought out a “menu,” which was actually a book that Vedant had designed to tell their love story! How adorable is that? I love that they will always have this keepsake to remember the day they got engaged. And of course Sneha has a gorgeous engagement ring she'll get to look at every day - her Isabel Bond ring is so unique and perfect for her. 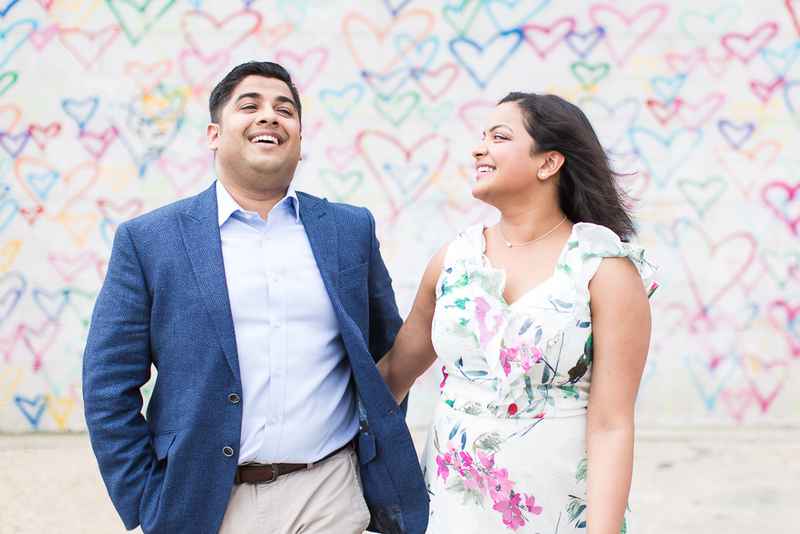 After getting a few more pictures at Masseria, we walked over to Union Market to take engagement photos by the Never Give Up mural and heart wall. It's such an iconic spot for engagement pictures! We also stopped inside Union Market for some ice cream from Trickling Springs Creamery. Is there a better way to celebrate an engagement than with ice cream?! I don't think so. Afterwards, Vedant and Sneha made their way back to Masseria to enjoy their ACTUAL dinner reservations haha. Big thanks to Shaundel and the rest of the staff at Masseria for helping coordinate this epic day!